Unity is necessary in every area of life. Unity is important in relationship, marriage, family, Church, at the work place and also in the society in general. Unity is a source of strength and power. When there is disorganization and disagreement within any organization there will be less productivity. The Lord is calling the Church – His bride – to be united as one force. If only we could unite the many doctrines and denominations that are tearing us apart, we would have better vision. If only church members would dwell together under the shadow of the Almighty and remain in His secret place, the Lord would pour upon us His wisdom and revelation in the knowledge of Him. If only the believers would unite together in one accord and allow the Holy Spirit to lead and direct us we would experience more power in the Church. If only each member of the body of Christ would focus on their function, the body would remain healthy and strong. The eyes cannot do the job of the heart, neither can the heart do the work of the eyes. Each of us has a specific task to do. Therefore, let us do it diligently so that we can grow together as one body. 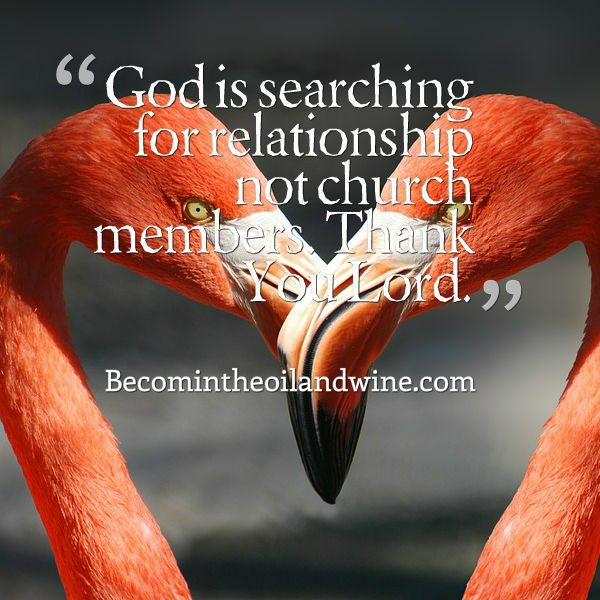 God is searching for relationship not church members. “I need you, you need me. We are all a part of God’s body so stand with me and agree with me.” Worship with Hezekiah Walker and pray for unity in the body of Christ. Yes and Amen! Words to pray for. We need to. Have a blessed weekend.